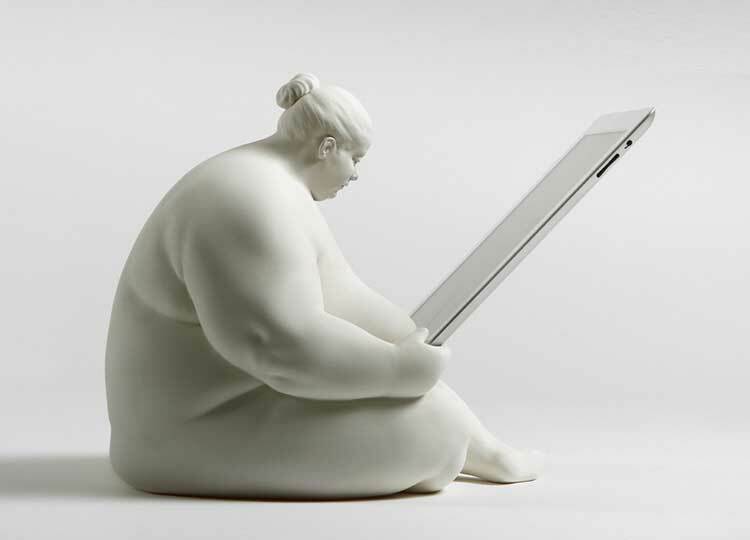 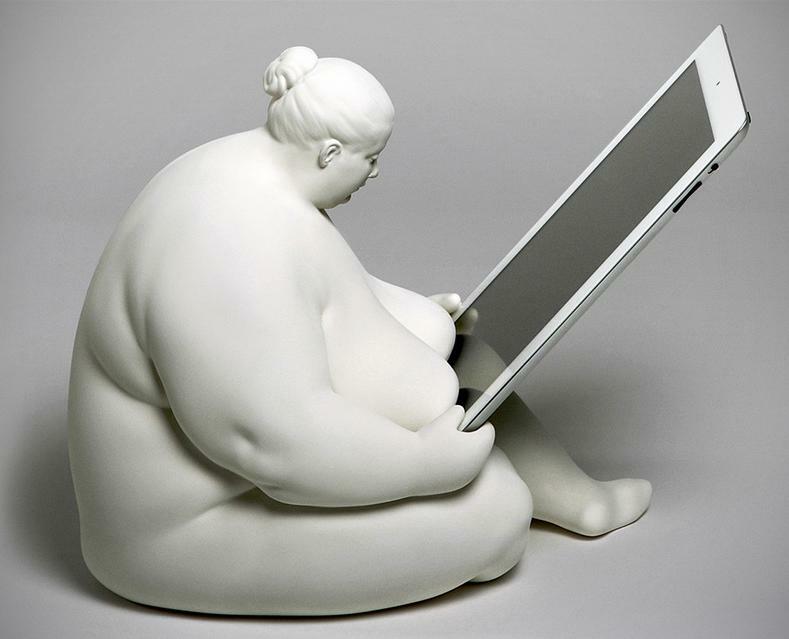 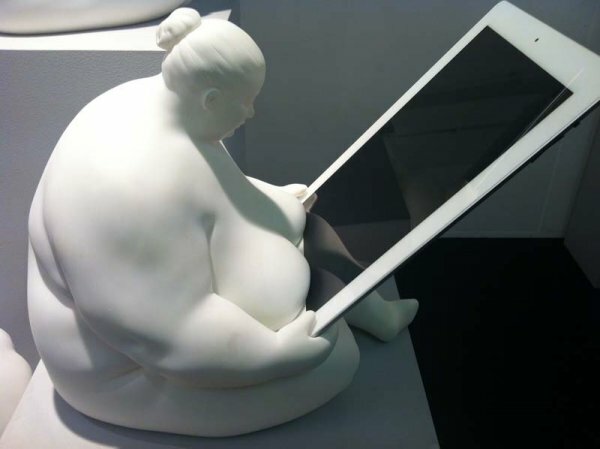 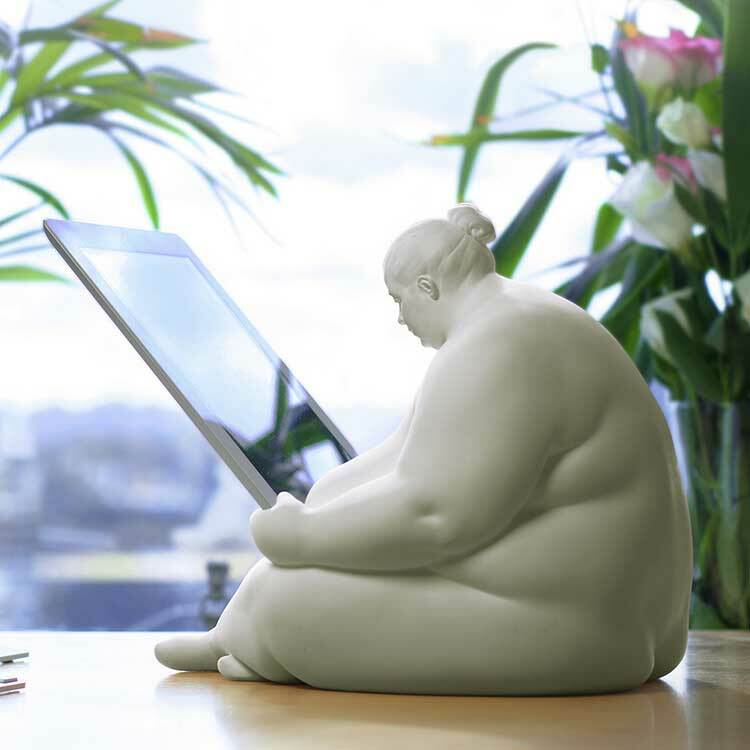 The Venus of Cupertino iPad dock is modeled after the curvaceous forms and symbolism of the ancient Venus figurines, and is a great item to display in your house if you enjoy quality art, goddess statues, or perhaps your just a chubby chaser. 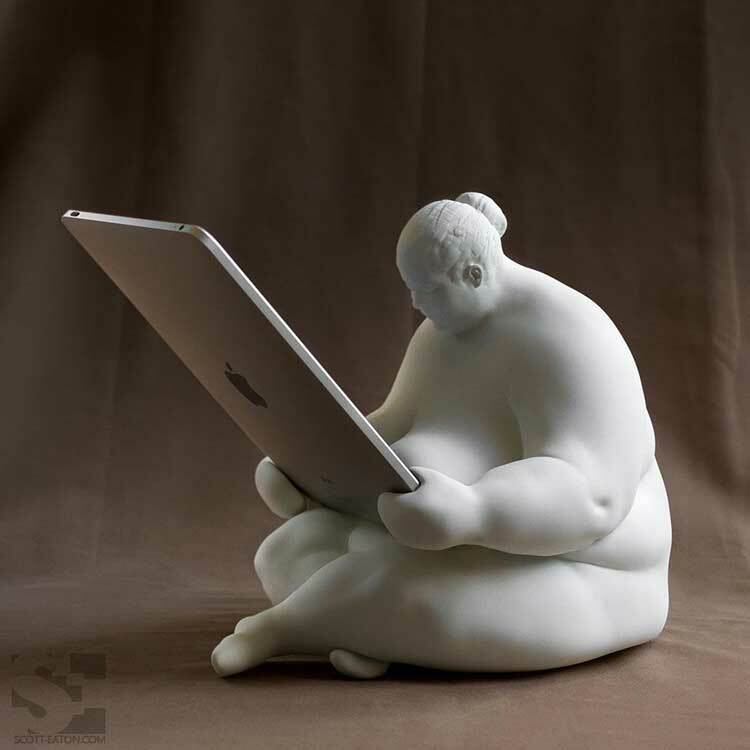 The Venus of Cupertino is hand cast in museum quality resin, and is a fully functioning, and working iPad dock that is compatible with the second, third, and fourth generation iPads. The iPad fits into a inconspicuous charger located in the Venus' midriff area.